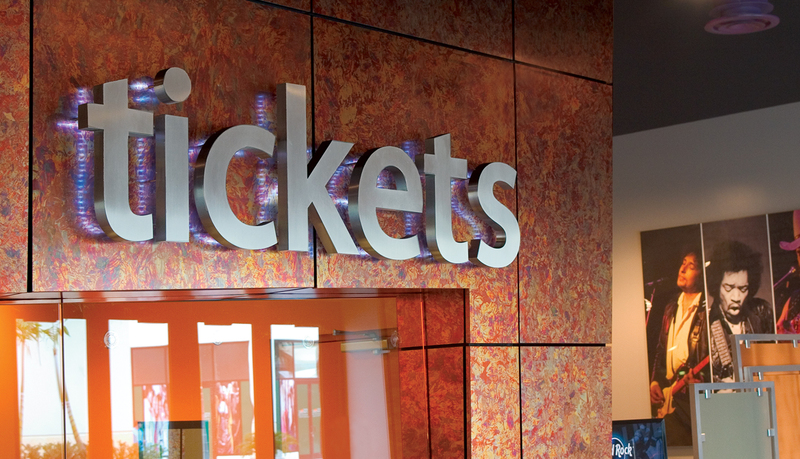 Hard Rock Live, located in Hollywood, FL, features state-of-the-art arena seating for 5,500 music lovers, sports fans or conventioneers. 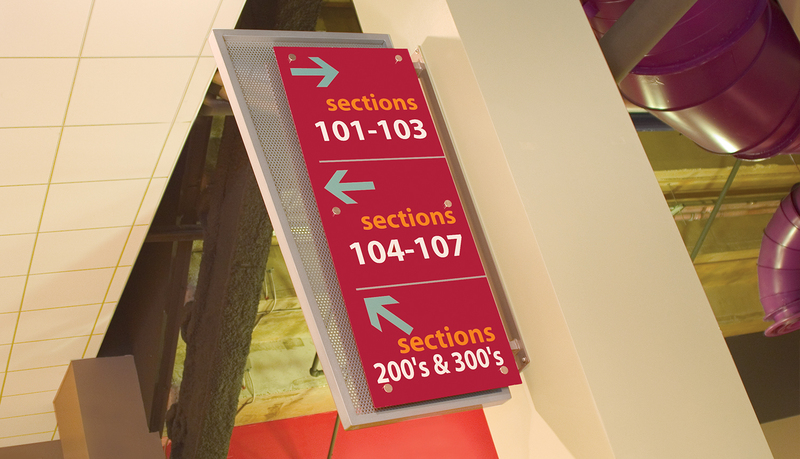 Prior to the venue’s grand opening, ASI was approached by Morris Architects and Cordish Company of Orlando to assist in the development of an interior signage solution that would effectively communicate the venue’s brand and provide clear wayfinding direction and area identification to the arena’s visitors and staff. 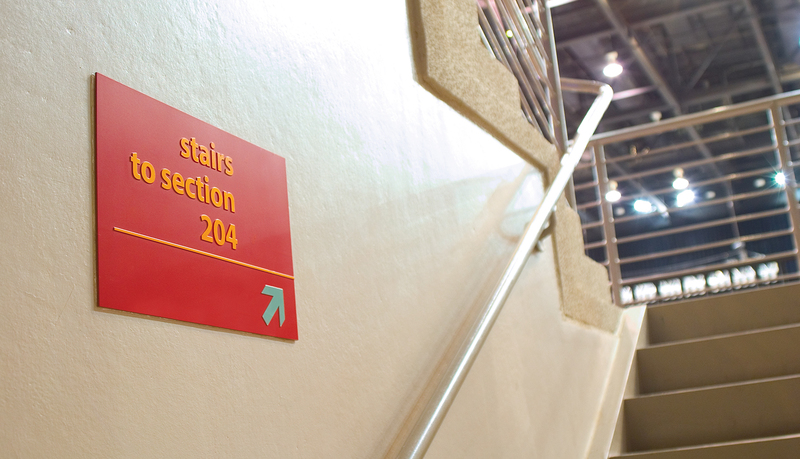 A thorough evaluation of the facility was conducted to ensure the signage communicated the proper directional information at a size that was visible from strategic entry points to effectively direct guests to their seats. 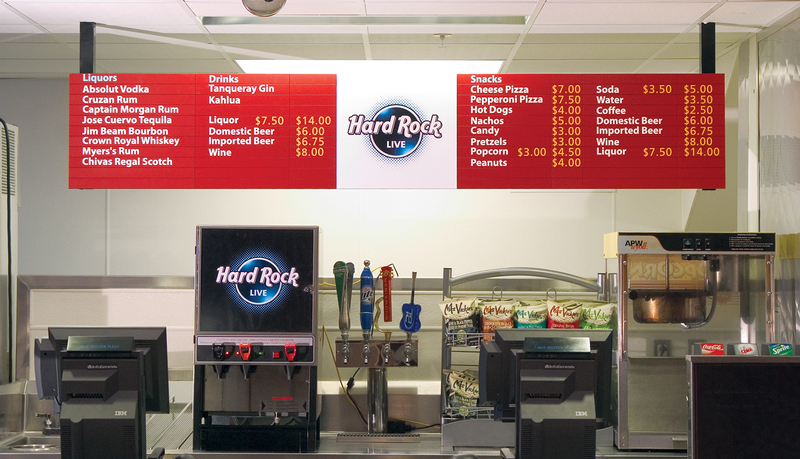 In addition, a modular system was needed for concession stand menu boards so vendors could easily make changes to pricing and menu offerings. 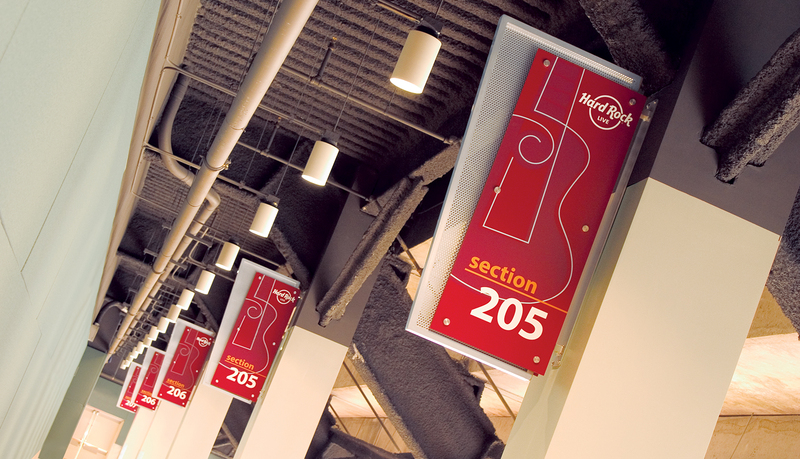 The signage design had to incorporate the Hard Rock brand and complement the architectural styling of the arena. 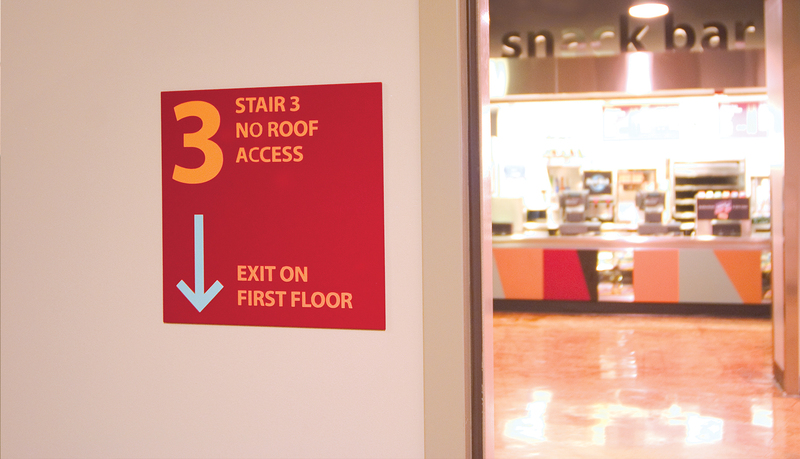 In partnership with Morris Architects and Cordish Company of Orlando, ASI developed the message schedule, sign design, verbiage and product development, manufacturing and installation to provide the client a perfect solution to complement their venue. 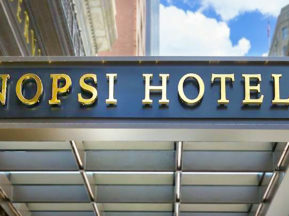 Jim Bockstall Design Associates also consulted on the project to assist in the design of the final deliverables ensuring consistent branding throughout the venue. 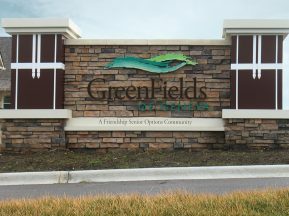 The custom aluminum signage allows digital four-color print applications, and was selected as the primary signage solution because it is a cost effective and flexible solution. 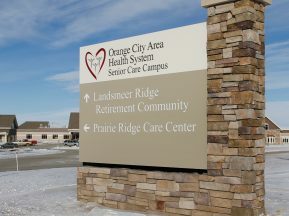 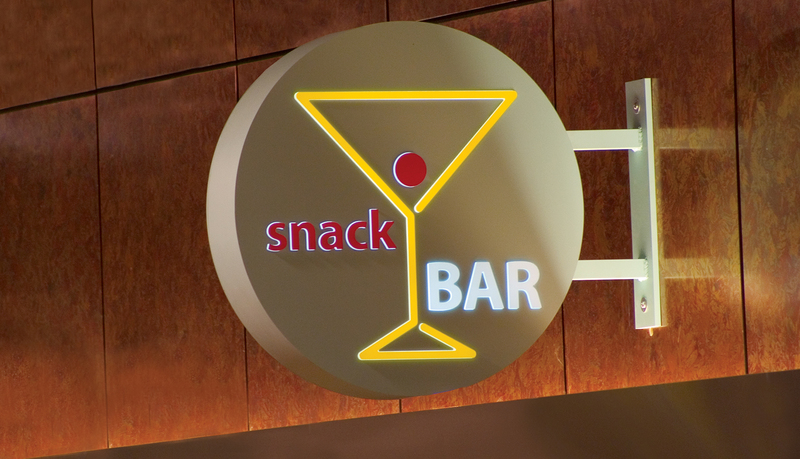 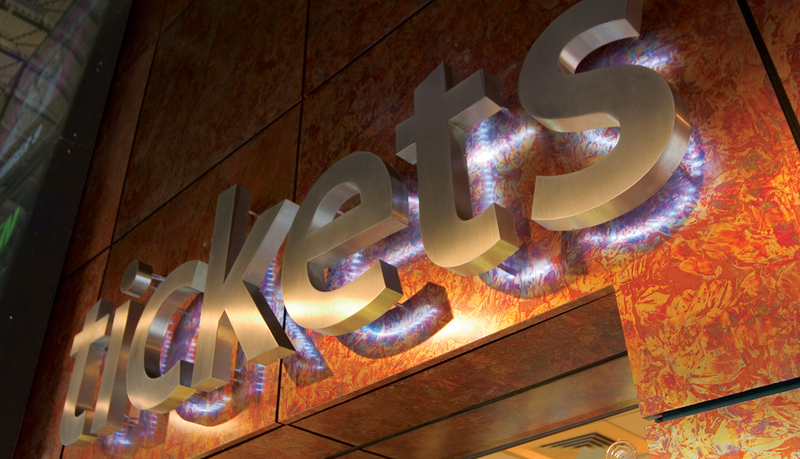 This solution was seamlessly integrated into the custom interior overhead signs. 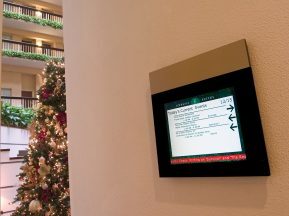 The custom interior package was created with venue attendees in mind, to clearly communicate destinations throughout the complex. 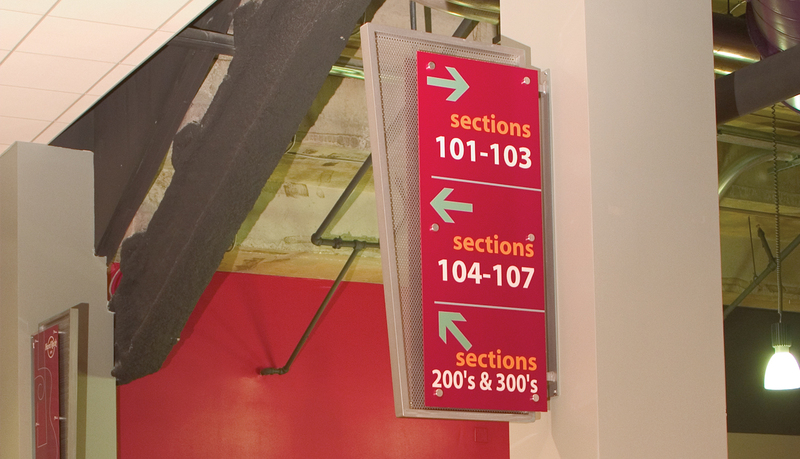 A color coded wayfinding solution was used to designate the areas of the arena. 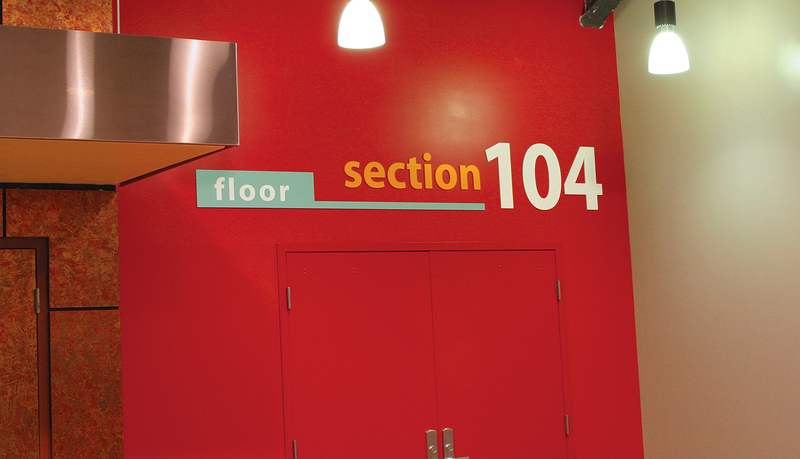 Restroom and exit signage were colored yellow, seating section and directional signage was colored in red and concession signs were color coded in blue. 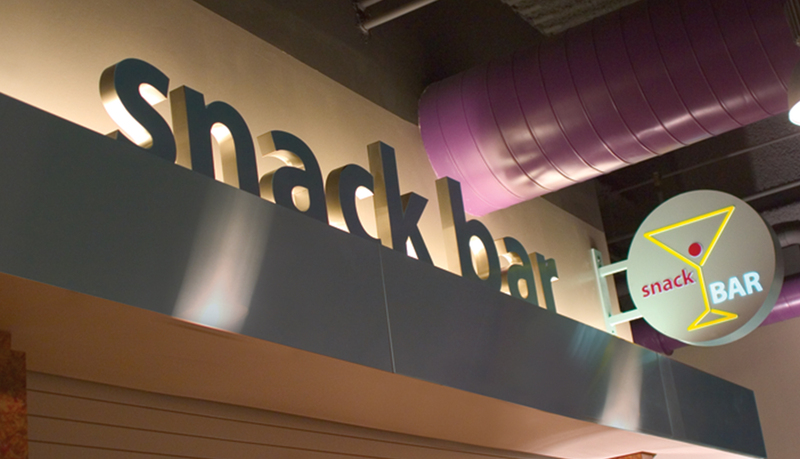 Infinity was the modular system selected to facilitate the sleek and interchangeable requirements for the concession areas throughout the venue. 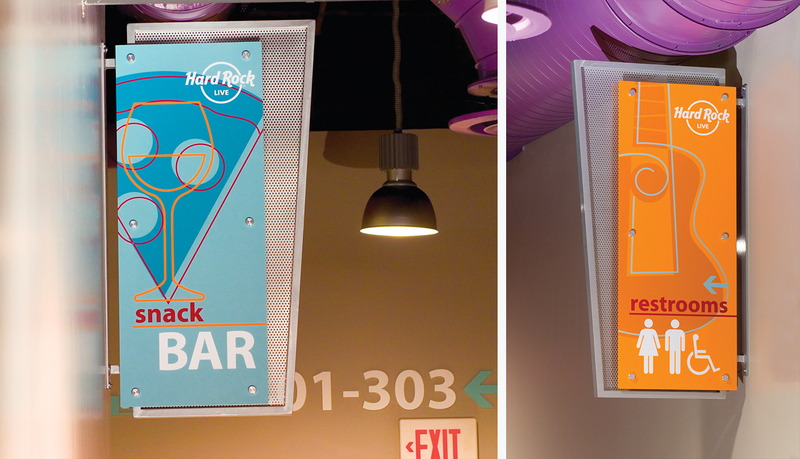 In the end, a complete interior solution was provided that reinforced the Hard Rock Live brand throughout the venue and selecting products and finishes that complemented the design of the facility.